Etaam, a Riyadh-based philanthropic organization, has extended its project of food saving and distribution of leftovers to shopping malls. Amer bin Abdulrahman Al- Barges, executive director of Etaam, said the campaign aims to spread the culture of food preservation in the society and overcoming the negative manifestations of extravagance and waste of extra food. The organization has put in place several mechanisms and implementation of plans to ensure the success of the campaign and achieve its objectives. “The goal of the food preservation campaign is to remind people about the importance of supporting and spreading the culture of giving charity to the poor in society in the form of food,” said Barges. He said the idea of taking the campaign to malls was to develop a fund within the mall’s restaurants and introduce distinctive codes to preserve Etaam’s identity. “We are giving out booklets and leaflets which show how food can be saved and how we can help people distribute the leftovers to the needy instead of dumping it in the garbage,” he said. 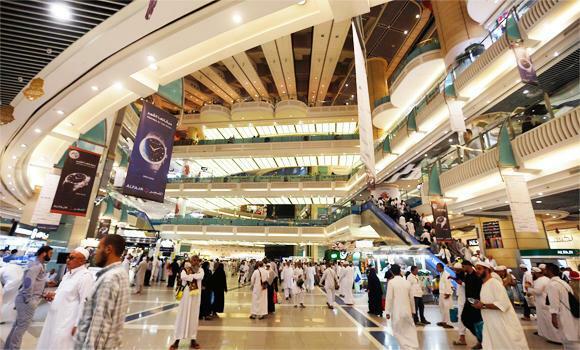 He said that the initiative of spreading the campaign to malls would build strategic partnerships with the private sector and raise awareness of social responsibility. Etaam can be contacted at the toll free number 920008110 and they will personally come and collect the extra food to distribute among the poor and needy.